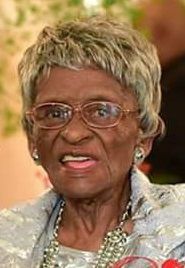 Josephine Turner Martin, 102 years old, of 304 Bintage Road, widow of James “Pee Wee” Martin, Sr., entered into eternal rest on Sunday, December 10, 2017 at her home. Born in McCormick, SC, she was the daughter of the late Charlie Turner and the late Cora Conner Turner. She was a member of Glovers Chapel Baptist Church, where she served on the senior choir, was a member of the Willing Workers and was the Mother of the Church. She was preceded in death by two sons, Willie Martin and John Frank Martin. She leaves to cherish her memories, three sons, L.C. (Velma) Martin, James (Veatrice)Martin and David (Bessie) Martin, all of Greenwood; two daughters, Cora Lee Martin of the home and Evelyn (Rufus) Lark of Ninety-Six; one brother, Samuel (Julia Clark) Turner of the Promised Land Community; 19 grandchildren, one that was reared in the home, Michael Martin; 24 great-grandchildren, one that was reared in the home, Mikia Martin; seven great-great-grandchildren and a host of other relatives and friends to mourn her passing. Funeral services will be held 11:00 am on Friday, December 15, 2017 at Glovers Chapel Baptist Church, conducted by the Rev. Charles Boyce. Interment will follow at the Mt. Moriah Baptist Church.